Is the railing commercially available? Beautiful doors! Where were they purchased? They were custom. Yes, they are beautiful! What is the main house color? 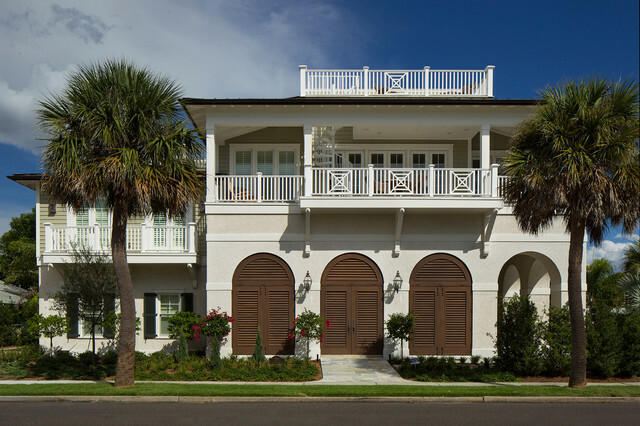 How much more expensive is the coquina as compared to regular stucco? fake windows like this on either side of jacks window?